Wilderness, Solitude and Scenic beauty; if these are the factor that you are looking for your vacation spot, then your search ends here. 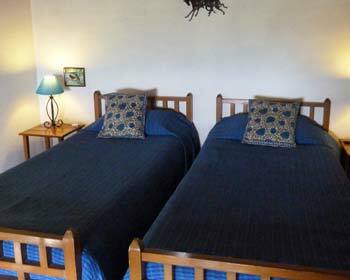 Located in the heart of Kumaon hills, Kalmtia Sangam Resort is everything that you can wish for. The Resort is a perfect getaway from the hustle and bustle of the city life and lets you cherish and connect with nature in the most beautiful way possible. The resort offers ten comfortable and spacious cottages, all of which are designed the themed specially to cater to different choices and needs of its esteemed clientele. 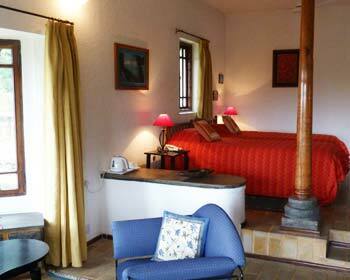 With an amalgamation of British-Kumaoni architectural style, the cottages stand apart from the competition. Kalmtia Sangam is not your typical vacation resort, but it offers unique experience patrons to cherish for life through village treks and other similar activities. Sangam – the in house restaurant of the resort is another feather in its cap. The eatery serves an assortment of cuisines along with local delicacies to keep taste buds of patrons satisfied. Apart from this to cater to every need of guests, the resort offers facilities like hot and cold running water, Ayurvedic massage center, reflexology treatment services, library and many others. Among all the features and facilities mentioned before; warm hospitality and scenic location is what makes Kalmtia Sangam Resort stand tall among its competition. Eagles Nest as the name suggests is a wonderful cottage that overlooks mesmerizing snow clad mountains and beautiful valley. 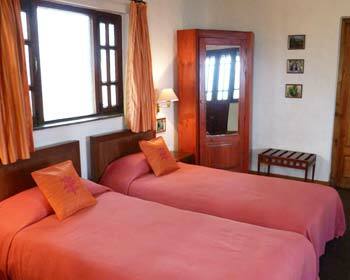 The Room offers spectacular view of the scenic beauty around along with all modern day comfort and facilities. 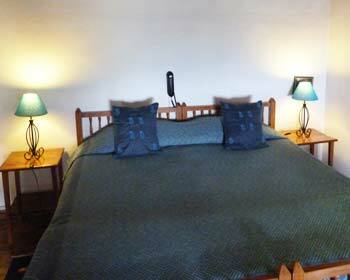 The interiors and décor of the cottage are designed in a way to offer guests a very homely - welcoming ambience. Own is a wonderful cottage that is available at Kalamtia Sangam Resort and draws its architectural and décor inspiration from Owl’s nest. The cottage is fitted with luxurious furnishing and uplifting décor that makes it stand apart from its competition. The unique structure makes the cottage easily accessible and therefore is ideal for seniors. 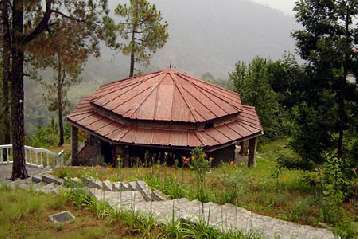 This octagonal cottage is built completely using stone and has unique ‘Pahari’ architectural style. This romantic cottage offers complete privacy and overlooks compelling mountain peaks and majestic valley. The décor of Himalayan Magpie is designed by confluence of traditional local and modern interior themes. 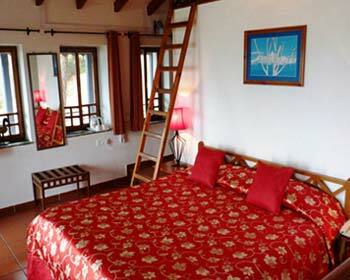 Scarlet Minivet is the only cottage located on the south side of Kalamtia Sangam Resort. 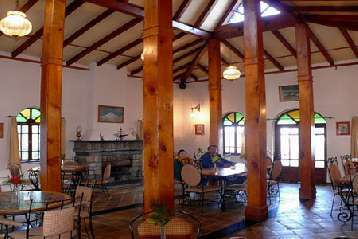 The main stand out factor about this resort is its location that provides magnificent view of the sunset and night lights of Almora. Furthermore, the décor is designed to give it a very comfortable and lively ambience to keep patrons pleased during their stay here. 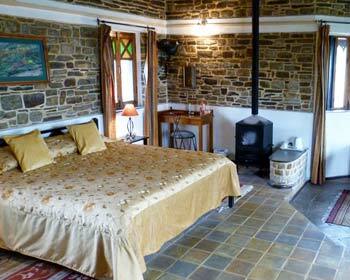 Built facing east, Pheasant is another gem of a cottage that is part of the Kalamtia Sangam Resort, Almora. The cottage is part of the two level structure and faces east offering majestic view of the sunrise every morning. The décor theme of the Pheasant is chosen by fusing traditional and modern interior design elements that make it stand apart from its competitors. Pheasant cottage shares its balcony with Partridge. Partridge is located adjoining the Pheasant cottage and faces west providing picturesque view of the sunset to patrons. The two level structure in which it is located is built in ‘Pahari’ style architecture and the décor is designed by incorporating traditional décor themes. It shares its balcony with Pheasant cottage. Hoppoe is part of the two level structure which also houses Cuckoo cottage. The spacious cottage is adorned by two cedar pillars that divide it in separate living and bedding areas for the convenience of clients. 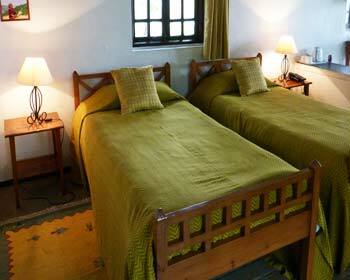 The cottages offer grand view of the scenic beauty and the décor is designed in a unique way to complement the same. Cuckoo forms the top structure of the two level building that also houses Hoopoe cottage. The standout factor of this cottage is the huge sunny terrace that is part of it. The terrace offers unrivaled view of grand valley and imposing snow clad mountains. The décor is adorned by incorporating local elements and embellishments. 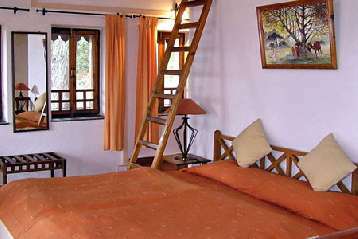 Goldfinch is a small comfortable cottage that is ideal for solo travelers who are exploring the hidden gem called Almora. The cottage is located adjoining the Rosefinch cottage and is equipped with exotic décor and modern day comfort creatures for the convenience of clients. 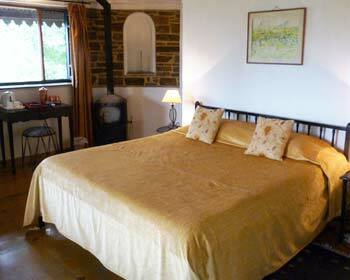 Rosefinch is one of the finest cottages offered at Kalmatia Sangam Resort, Almora. The cottage is located adjoining Goldfinch and is designed for solo travelers who are looking for a comfortable staying option. 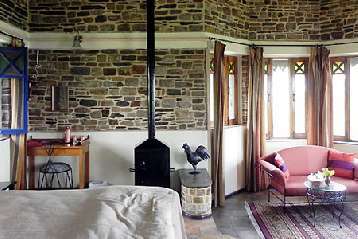 The décor is themed around Pahari style and therefore adds very unique feel and appeal to cottage. 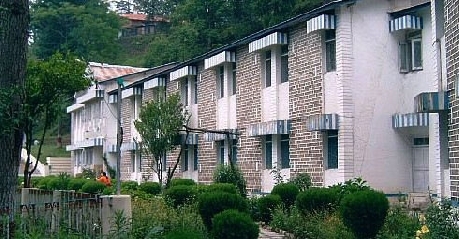 Hotel Kalmatia Sangam, Almora offers pretty cottages where the colonial style architecture bears imprints of Kumaoni inspiration. Each cottage is distinct from the other in terms of style, taste and décor. 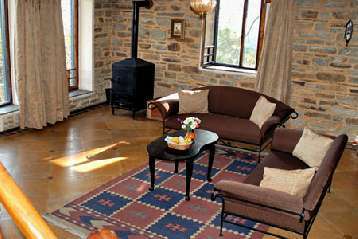 The cottages come with separate living and sleeping areas and are furnished with modern amenities to keep you in comfort. The cottages feature individual verandas or terraces. If you are a person who likes to try different cuisines and local delicacies from different regions of India, then you would love the in house Sangam restaurant at Kalamtia Sangam Resort, Almora. 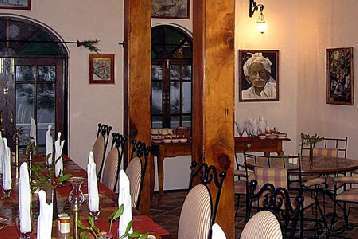 The Restaurant serves confluence of traditional and international cuisines that are prepared using local produce. The name of the eatery Sangam means confluence and here at the restaurant different exotic taste and flavors meet to pamper the taste buds of patrons. Sangam Restaurant serves exotic dishes from local as well global cuisines like Greek, Lebanese, Italian and even French. Apart from food, the restaurant also has mesmerizing décor that is adorned with artsy paintings and portraits that uplift the mood and make dining here a memorable experience. Patrons can also make special request for arrangements of dinner on the terrace or outside with a bonfire under starry skies.